THE TIMES (of London) on Thursday 27 July carried the obituary of a gentleman who had just died, aged 94. He went by the name Rex Sanders, the very sound of which seemed to demand the description “Secret Agent.” He was shown wearing a moustache, a steely gaze and the uniform of an RAF Wing Commander.And he had an impressive record of derring-do, some of it unknown to the world until now. In April 1952 he was the lead navigator when three RAF aircrew flew American Air Force RB-45 jet bombers with British markings deep into Russia to collect radar and photographic intelligence on Soviet airfields, factories and other strategic targets. 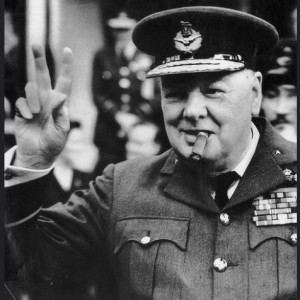 The US Air Force ((commander in Chief President Truman) was forbidden such adventures so , Prime Minister Winston Churchill arranged for British aircrew to do the job for them. . On the face of it the American armed forces were beyond constitutional control and Churchill was a law unto himself. The previous year the MIRROR newspaper raised the question of Churchill’s suitability for power with the pre-election question “WHOSE FINGER ON THE TRIGGER?” publishing an off-the-record statement by French Foreign Minister Robert Schumann that Churchill, then in opposition, had advocated a “preventive war against Russia.”Churchill sued the paper, which could not reveal its source, and won his case. Michael Portillo a couple of years ago revealed that the “visionary” Churchill intended attacking Russia if he won the 1945 General Election. It would be comforting to think that Western statesmen and military today were less crazy than in previous decades. But it would not seem reasonable to to think so. It’s quite possible that I fail to appreciate Churchill’s finer qualities. The noble Lord Bew would have me believe that Churchill loved Ireland and he people, while Roy Jenkins, later ennobled, in his biography of Churchill assured the world that his subject brought peace to Ireland in 1922. Thank you for (regularly) regularl revealing hidden history Dónal. One interesting detail of this bizarre Churchillian folly was that he proposed to form an alliance with what remained of the Wehrmacht – which by that stage was little more than an unhappy assortment of boys, the maimed and old men – and the Americans, to launch an assault directly on what he characterised as Red Russia. Thankfully, the Americans quickly slapped him down to remind him that they, and the Russians, were the New World Superpowers now. If anybody ever needed an acid test of Churchill’s sanity and/or imperialist avarice, this would have to take its rightful place amongst the many other lunacies that he offers. But, unfortunately, history is written by the winners and gives this belligerent war-mongering bigot a by-ball.